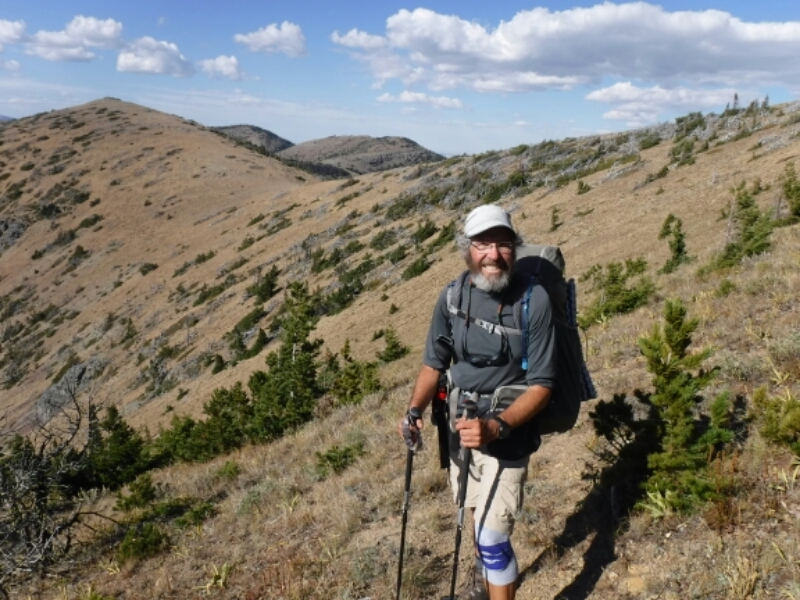 One of the pleasures of hiking the CDT was to read the words of support from those who followed my journey on my blog and Facebook, and often wrote me kind, encouraging messages. My thanks go to each and every one of you! 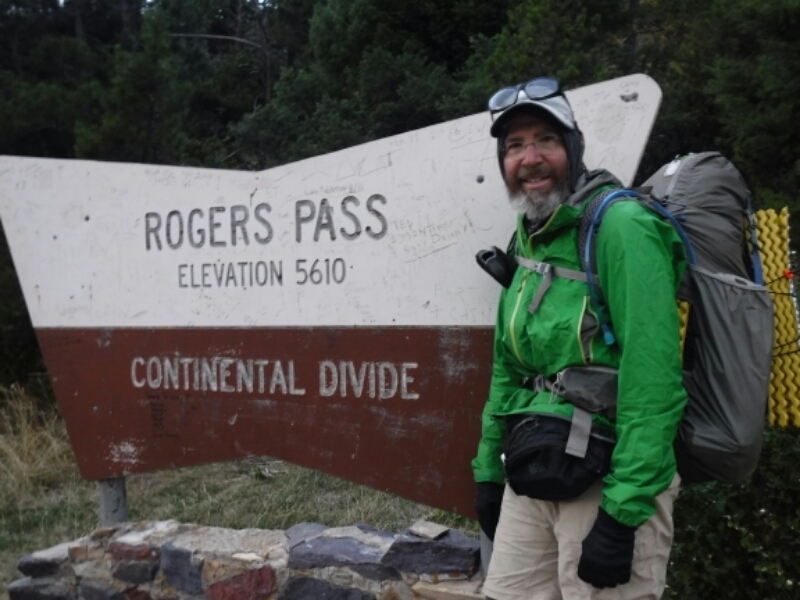 In early 2016 when I first announced to my friends and colleagues that that I would hike the CDT, some asked if I would write a blog. And I created my first blog site! During the hike, when I had access, I read every comment on www.elkpass.com and on Facebook! Knowing that my friends were reading was motivation to keep writing and keep hiking. Over 2,700 visitors to the blog from 30 countries made 10,000 page views. That includes multiple visits by the same people. 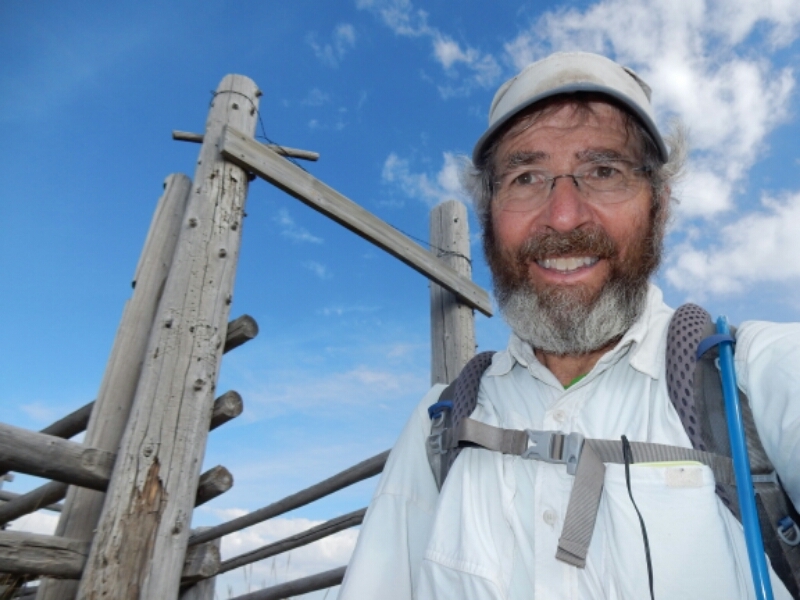 Roger at the CDT Southern Terminus, Crazy Cook Monument, New Mexico, April 18. When I arrived in a town or a place that resembled civilization, I had numerous chores to take care of. Those chores included receiving and shipping parcels at the Post Office, managing my gear, shopping for goodies & calories to add to my backpack, eating pancakes, hamburgers, enchiladas, ice cream, etc., and of course, updating my blog. While writing, I took care to select meaningful photos and write a summary of what the previous four to fourteen days were like. I tried to describe the dramas that were my adventure, especially how I dealt with falling behind my original schedule which had me hiking five months to reach the Canadian border on September 18. It took me 15 days more than I expected, and during that stretch in beautiful northern Montana I was concerned about daily forecasts that often included cold, rainy or snowy weather. THE CDT JOURNEY IS COMPLETED! 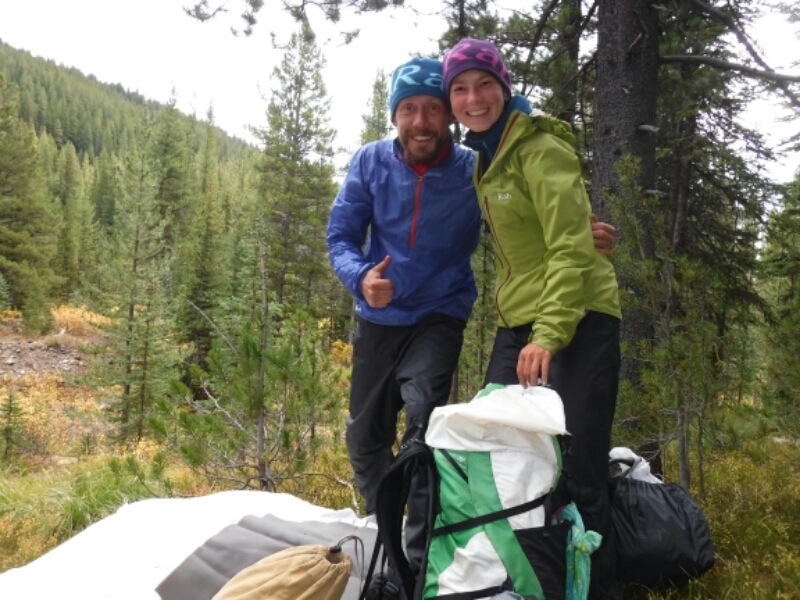 On October 3 at 1:30 pm I hiked to the US/Canada border at Chief Mountain with fellow thru-hikers Petr Kosek (Footprint), Olga Kubankova (Stormrunner), both from Czech Republic. My lovely wife and caring, unwavering supporter Cindy Kleinegger (Snake Maiden) met us for the final three miles! We enjoyed six amazing days hiking the CDT in Glacier National Park, blessed with sunny weather most of final 95 miles. Upon leaving the wonderful city of Helena I spent 14 days hiking 237 miles before reaching East Glacier Park., the last town and resupply point. The CDT crosses Macdonald Pass along a highway, where it had snowed the previous day when I enjoyed a zero day in Helena. The route passed through Scapegoat Wilderness where fierce 60 mph blew across the Continental Divide, and did toss me off my feet once. 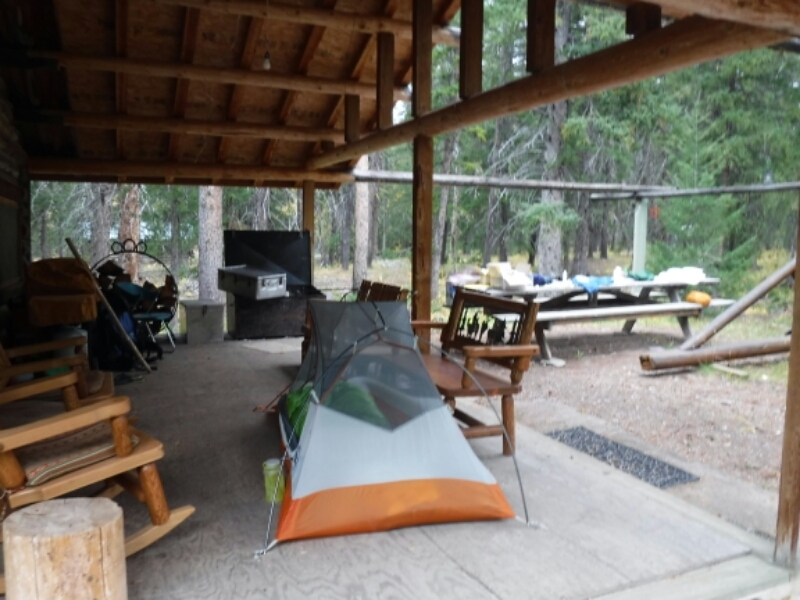 I picked up my parcel mid-way to East Glacier at the Benchmark Wilderness Ranch, where I pitched my tent on the porch in case of rain. 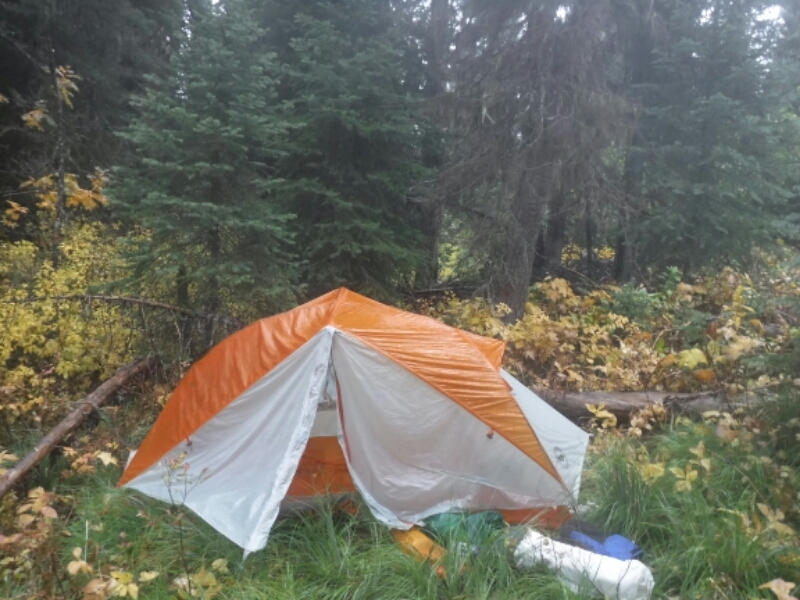 Yes, rain was in the forecast, and it did eventually rain in the Bob Marshall Wilderness, where I struggled to find a suitable camp late one evening. Thankfully, the rain stopped early the next morning and it did not rain or snow very much all the way to East Glacier. 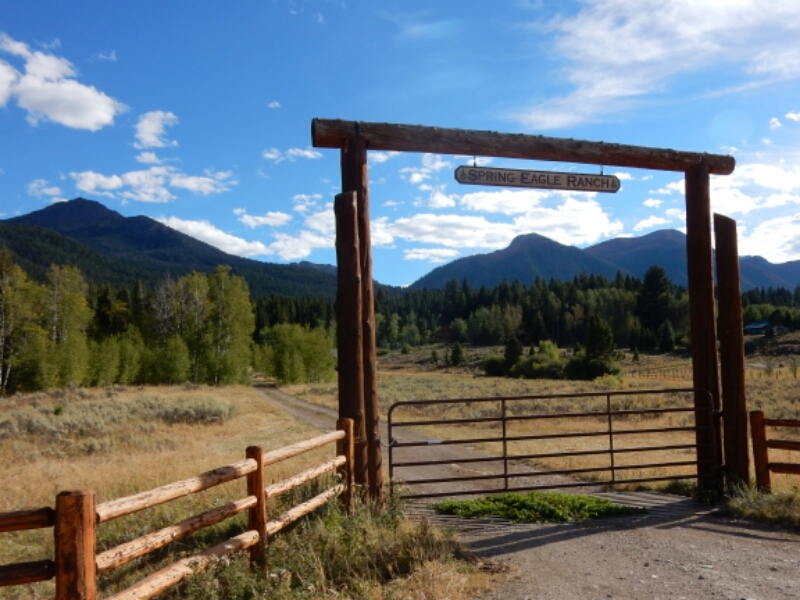 Bob Marshall Wilderness, a haven for hunters, horses and grizzly bear. The route passed through dense forest and made me feel at home in the Pacific Northwest. 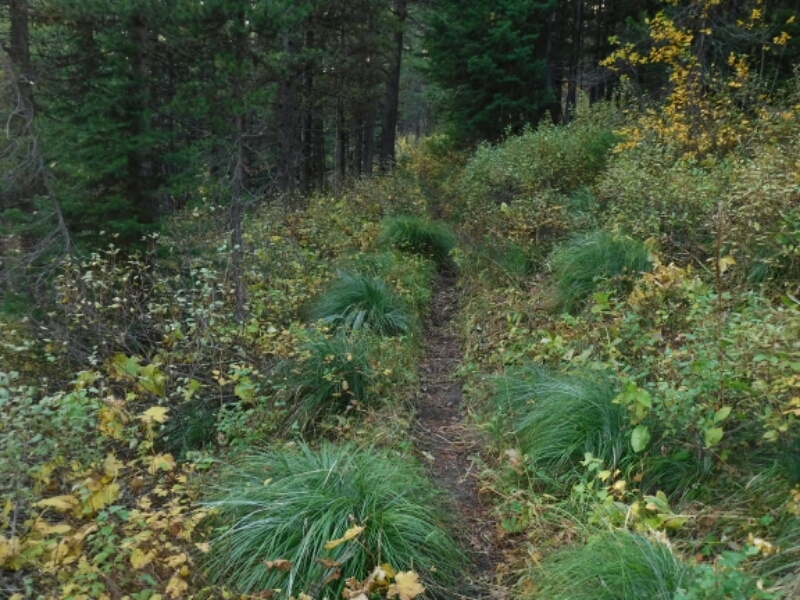 Bear grass sprouted high nearly everywhere, just like the PCT. Nearing Glacier NP was wonderful because it is the last hurdle before Canada. I will write more and post more photos once I reach Canada. I am feeling healthy and optimistic. The weather for the final six days of hiking look very good. 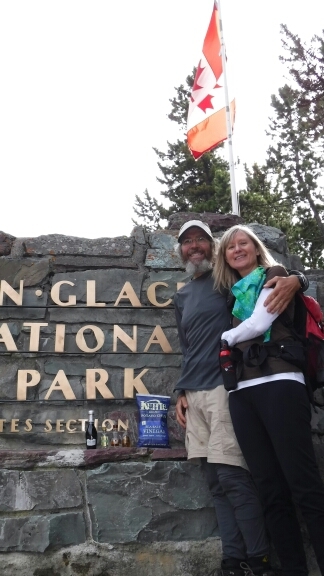 And my lovely wife Cindy is here to support me in East Glacier Park. My friends Footprint and Stormrunner will join me for the last section to the border. GREG IN WILD HIKES ON! 365 MILES TO GO, FALL COLORS, AND GREAT WEATHER AHEAD. During the four days I hiked between Anaconda and Macdonald Pass & Helena I felt great and enjoyed being on trail (and not roads) again. 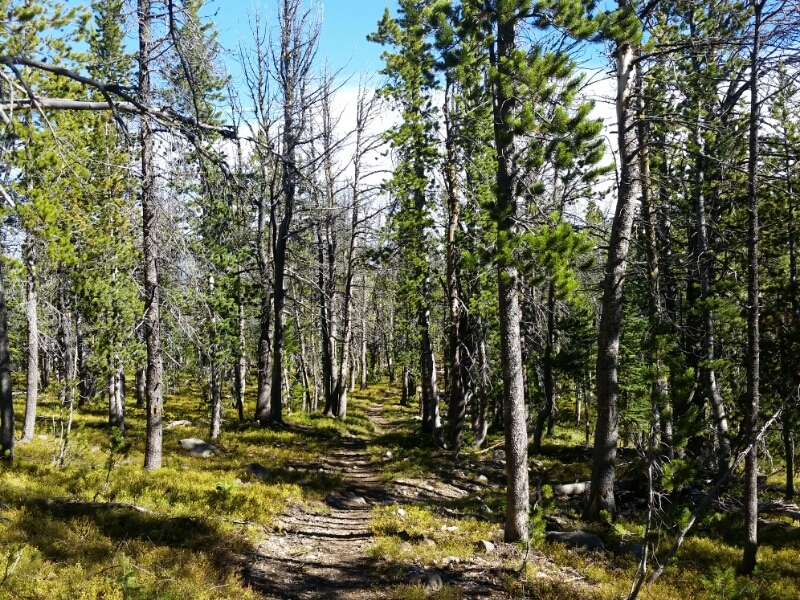 It was a mellow 79 miles of hiking with sunny days and cold, crisp nights in lodgepole pine forests and grassy meadows. A BETTER WAY NORTH. When I departed Lima, Montana, where I restocked my pack with six days of food, I was feeling well except for a new injury to my left foot. Two toes were numb and intense pain would occur occasionally. Thankfully my left knee appears to be healed at least for now, but the foot pain was pretty bad and slowed me down. 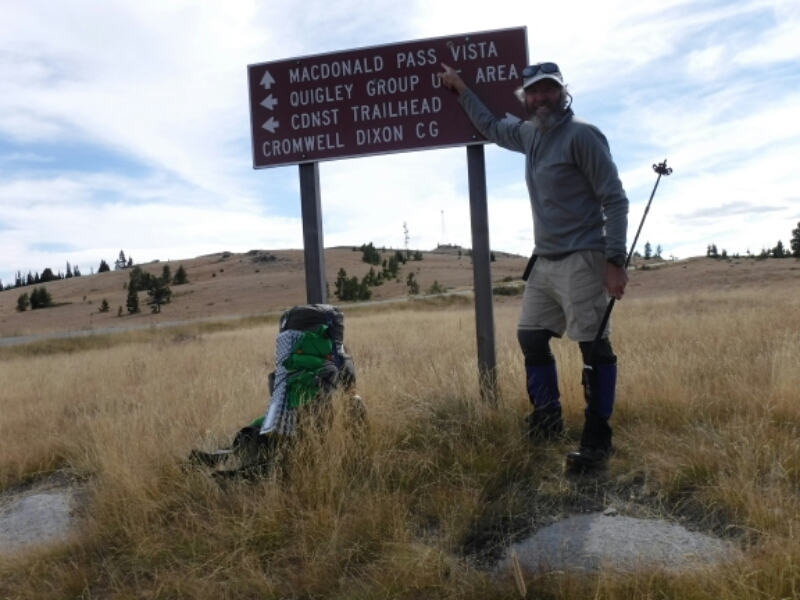 On August 30, the second day on the CDT since leaving Lima, was a real downer. I was motivated more to stop and rest rather than hike northbound toward the next town, Leadore, Idaho. 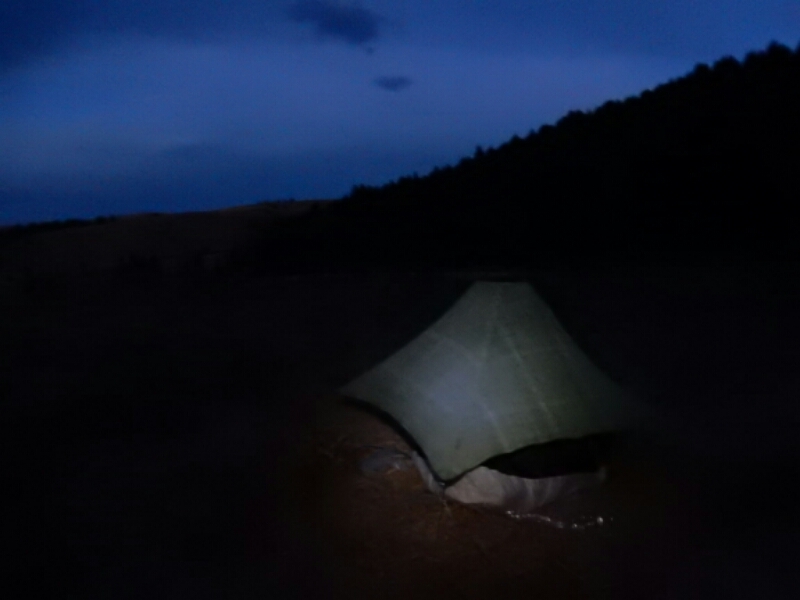 Above: my camp at Sawmill Creek after a painful 10 mile day. ENTERING THE FINAL STATE, MONTANA. 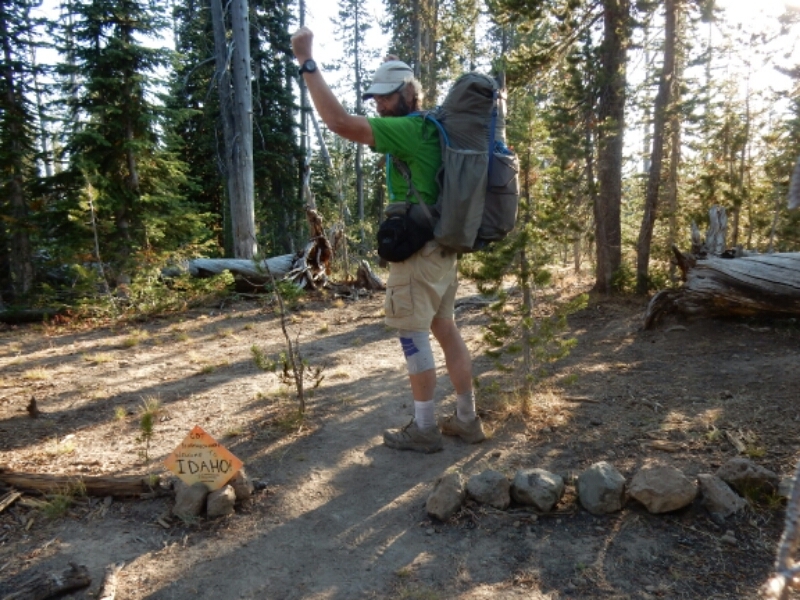 I left Yellowstone on August 23 along very easy-going trail, but through a large burned area. 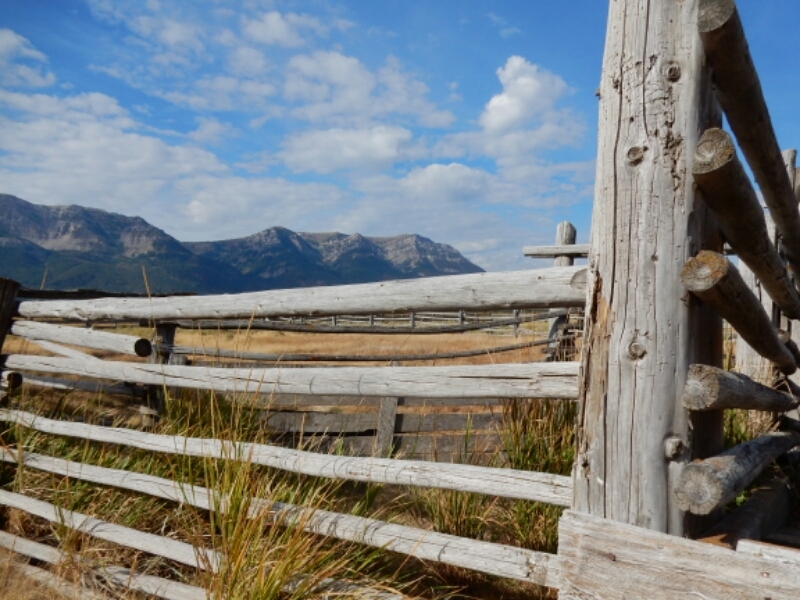 Before leaving the National Park, however, I crossed the state line between Wyoming and Idaho, a state which the CDT merely straddles with Montana. Wyoming was very good to me. I entered the state with my injured knee a huge concern, and the mellow trails allowed the pain to subside, at least temporarily. I passed by the border with a slight expression of satisfaction, more interested in making more miles that day. 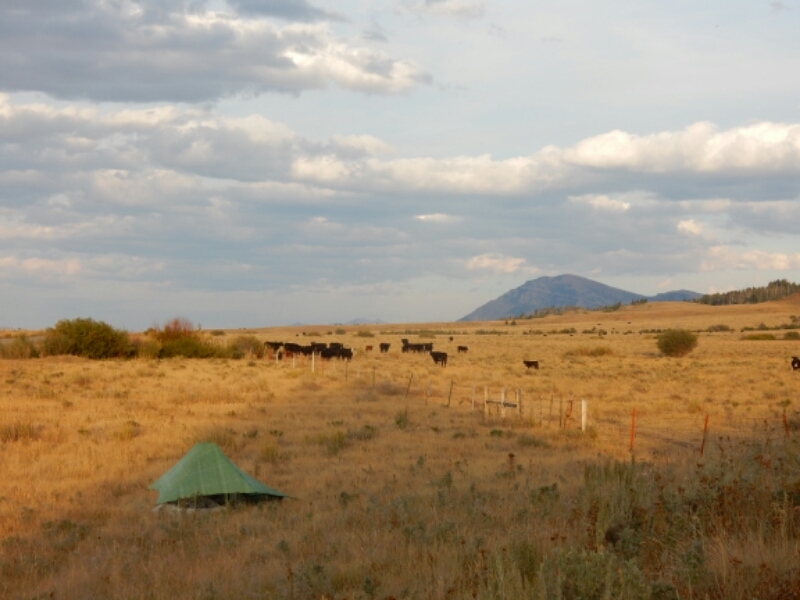 While at the Sawtelle RV park overnight I decided to take an alternate route to the next resupply town, Lima, Montana. This allowed me to get to Lima in less time with less wear and tear on me. 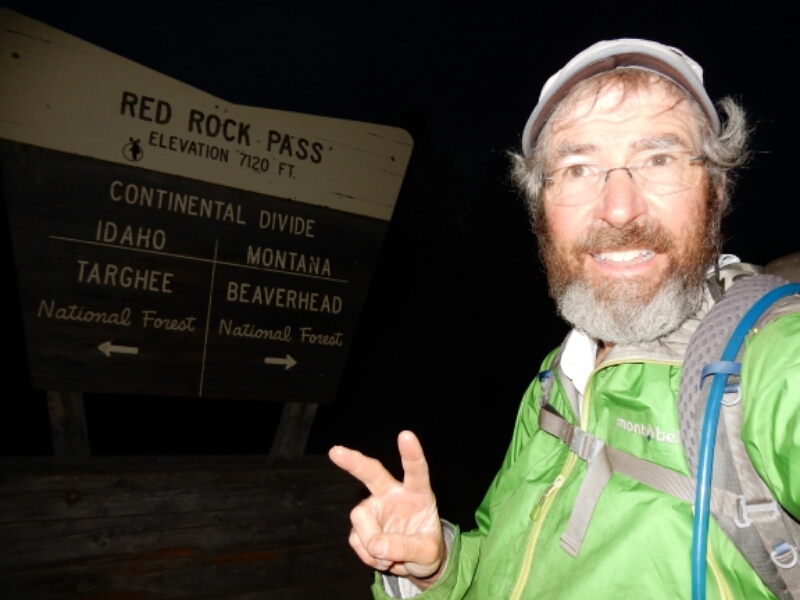 Along the way, in the Centennial Valley, I hiked over Red Rock Pass and across the border to Montana early morning on August 26. My choice of the alternate route was a good one. 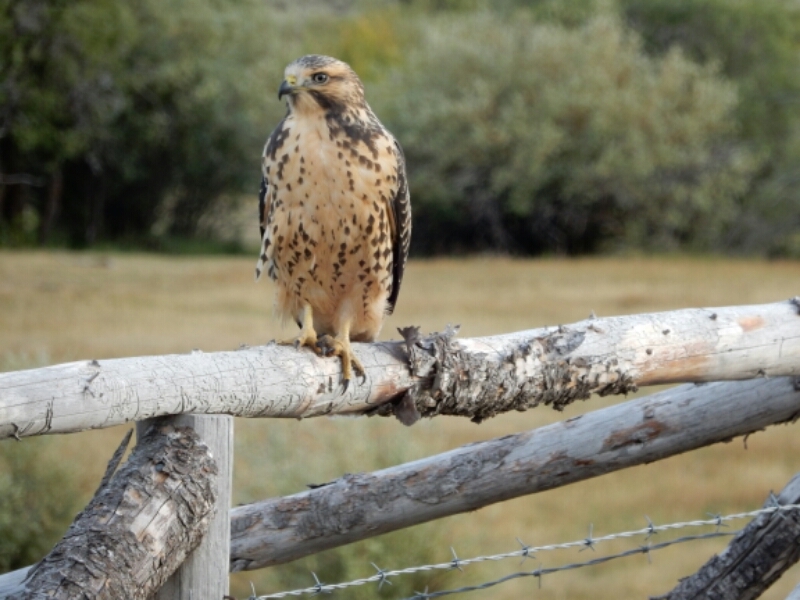 The valley featured Red Rock Wildlife Refuge, lovely ranches, birds of prey, and other wildlife such as the first fox I saw on the entire hike. 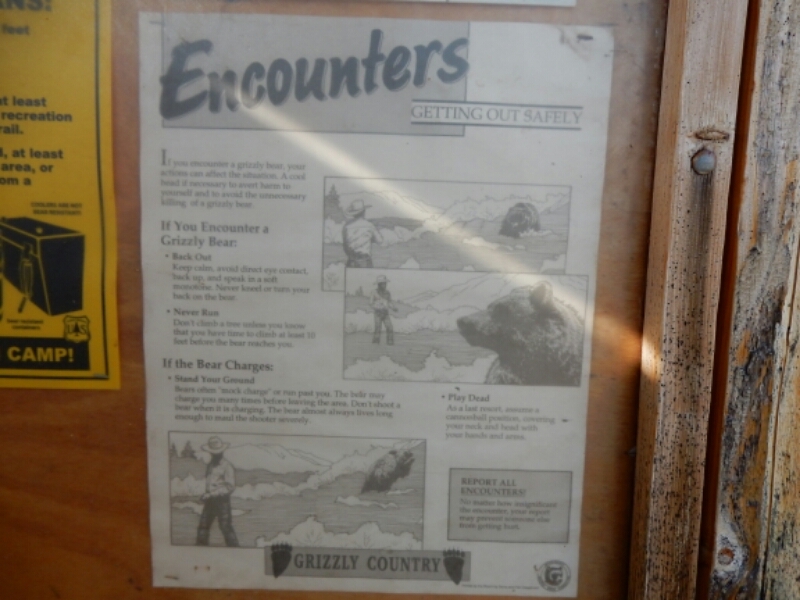 I still had to be “bear aware”, the same as if I was hiking the divide 2+ miles to the south and 2000 feet higher. I plan on taking another alternate route about five days after departing Lima. The goal is to move up my arrival in Glacier National Park in late September to avoid the possibilities of cold, snowy weather and closed or limited route options through Glacier National Park. This will involve some backroad and highway walking between Lemhi Pass (the important Lewis and Clark Expedition milestone) and Anaconda. 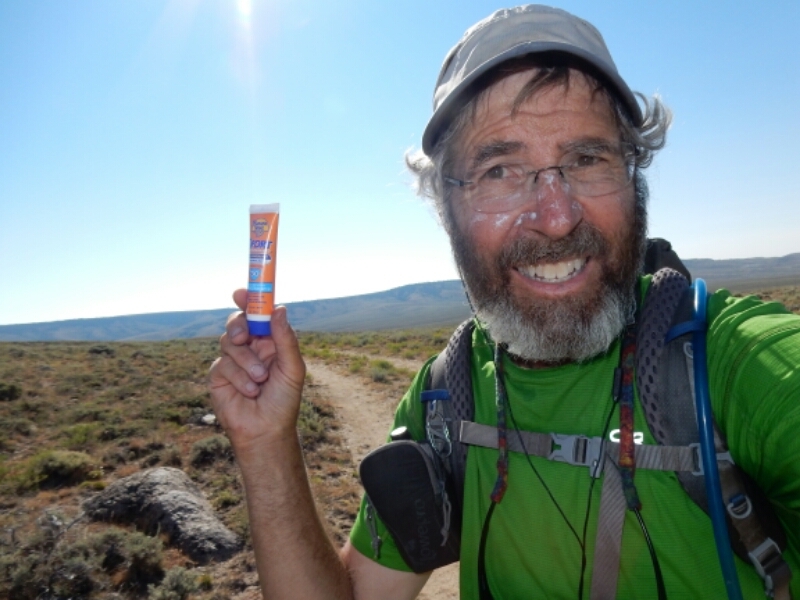 Regardless of the route choices, GREG IN WILD HIKES ON! 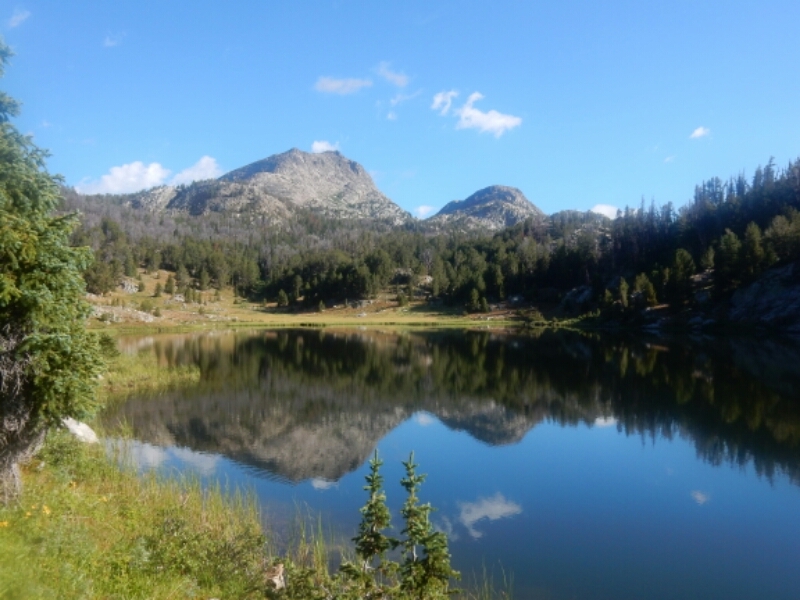 GRIZZLIES, GEYSERS AND A VERY NICE HIKE: On August 16 I reached Brooks Lake, a large lake in the Teton Wilderness, I read signs posted by the Forest Service warning of grizzlies and how to deal with encounters. I was extra cautious while hiking. This included daily practice quick-drawing the bear spray, talking frequently to a possible unsuspecting bear, not cooking in camp and hanging food 300 feet away from my tent at night. Being confident with the potential for bear encounter allowed me to enjoy the mountains, river valleys and mostly mellow trail. WALKING WITH GRIZZLIES IN THE WIND RIVERS. The Wind River Range is a lovely place to hike, and I was fortunate to enjoy the megestic scenery without any uncomfortable encounters with a griz. As I hiked I paid close attention to my ailing knee while managing to hike 20+ mile days three days in a row. It was not the pace I originally planned for, but not everything on a 2700-mile hike can go perfectly. Now, it’s about taking each day at a time and enjoying the Rocky Mountains, the Wind Rivera and Yellowstone. BACK TO THE MOUNTAINS, THE WIND RIVER RANGE! 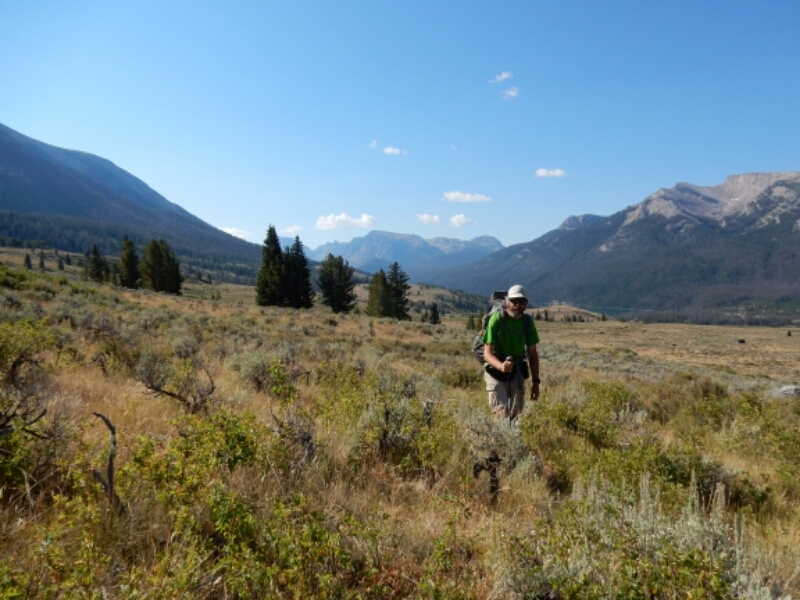 I was happy to trade the hot, windy sagebrush land of the Great Divide Basin for the mountains. 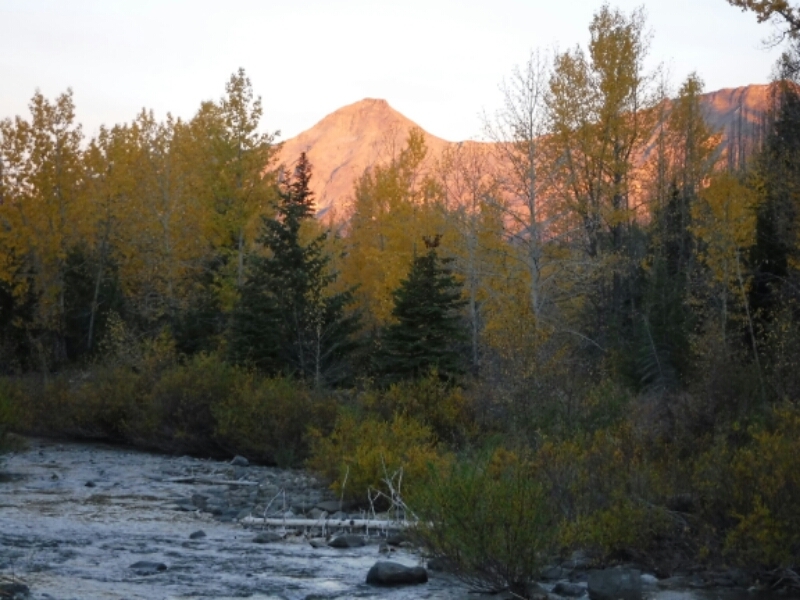 I have been told by other CDT hikers the Wind Rivers were a pleasant surprise. Okay, what is 160 miles long, is virtually treeless, has very little water, and features high winds up 40 mph all day? You probably first think of death valley. WRONG! It is the CDT inside the Great Divide Basin of southern Wyoming, plus the 40 miles south of Rawlins. I just hiked that section, and I am sure happy that I carried plenty of sunscreen and water purification solution.